2001- 2002 Ford Explorer Power Steering - Sport and Sport Trac - Production date from 9/1/2001. 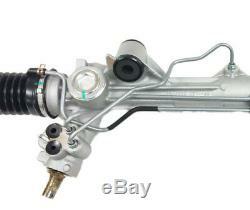 2003 - 2005 Ford Explorer Power Steering - Sport and Sport Trac. 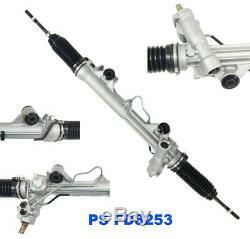 2001 - 2011 Ford Ranger Power Steering. 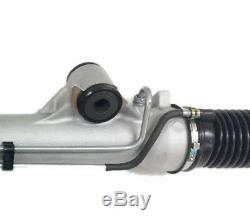 2001 - 2010 Mazda B-Series Truck Power Steering. 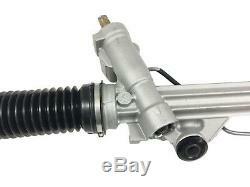 2001 - 2010 Mazda Pick-Up Truck Power Steering. Please double check with the OEM REF#. 80-00404 R , 1F2132110A , 1F2232110A, 1L5Z3504DA , 1L5Z-3504-DA , 1L5Z3504DARM, 1L5Z-3504-DARM , 9L5Z 3504-A , 9L5Z3504A. Exactly Same as the Picture. Professional Installer Is Highly Recommend(No Instruction Included). Please inspect your order upon receipt. All items are brand new unless otherwise stated. Professional installation is highly recommended. We do not answer emails on weekend, and we will reply all emails in the order it was receive. No other responsibilities or warranties are expressed or implied. The item "Power Steering RackΠnion fit 03-05 Explorer/01-11 Ranger 01-10 Mazda Pickup" is in sale since Friday, June 29, 2018. This item is in the category "eBay Motors\Parts & Accessories\Car & Truck Parts\Suspension & Steering\Steering Racks & Gear Boxes". The seller is "superspeedworldshop" and is located in Griffith, Indiana. This item can be shipped worldwide.